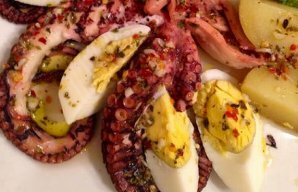 This delicious Portuguese roasted octopus with garlic sauce recipe (receita de polvo no forno com molho de alho) is very easy to prepare and it makes a great entre. Bake the octopus and let it cool. Cut it into pieces and place it in a clay pot. In a frying pan, place the rolled garlic, bay leaf, chilli pepper and a generous amount of olive oil. Cook until the garlic has browned. Add the paprika, mix well and pour it over the octopus. Sprinkle with coriander and serve hot. 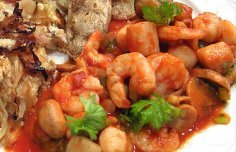 This Portuguese Sunday cod recipe makes a great Sunday meal for up to 4 people, enjoy. 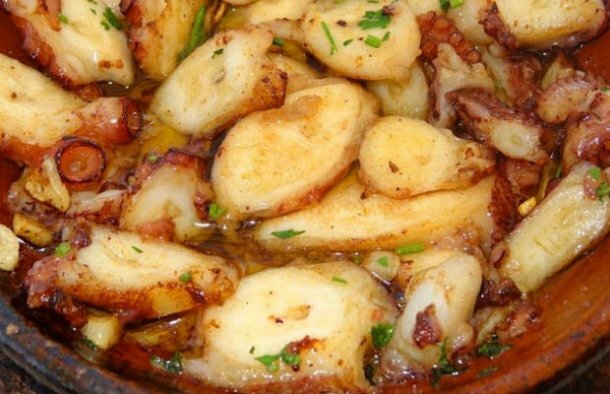 This Portuguese octopus with olive oil sauce recipe is very simple to make and very tasty, enjoy. 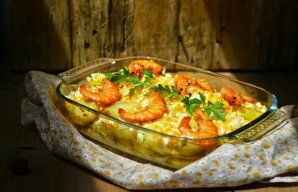 This Portuguese shrimp and scallops recipe (receita de camarão e vieiras) is delicious.